East coast pelagic birding is what it is. 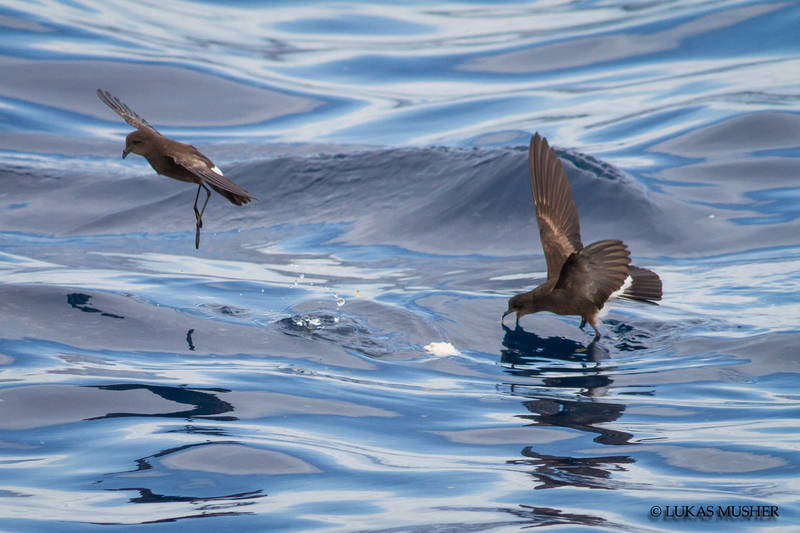 Usually it’s relatively unproductive (ignoring the pelagic birding off of North Carolina) with low numbers of individuals, and you’re lucky to see one or two rare or heavily sought after pelagic species. 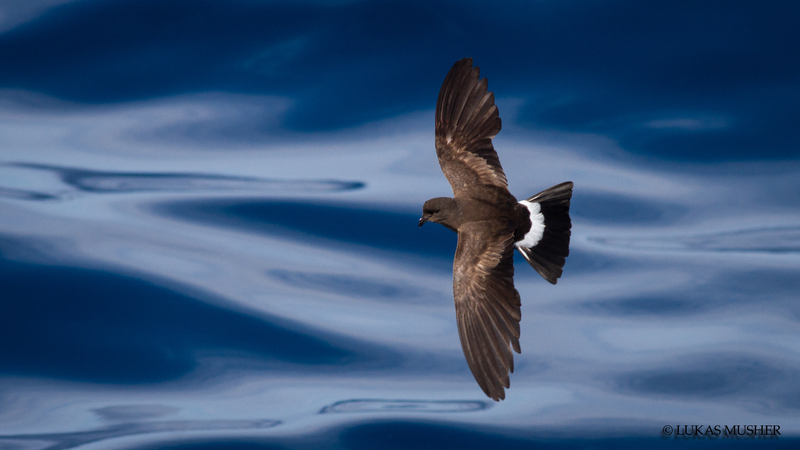 On the west coast it is not unusual to see hundreds of shearwaters and tens of thousands of storm-petrels, plus the rare and sought after species are found relatively frequently. Despite this, these Atlantic trips are great ways to pick up birds for state and life lists, find rarities, and are usually a blast regardless so I go on them when I can anyway. I would even recommend going on a trip to just about anyone living in the mid-Atlantic interested in marine life of all kinds. 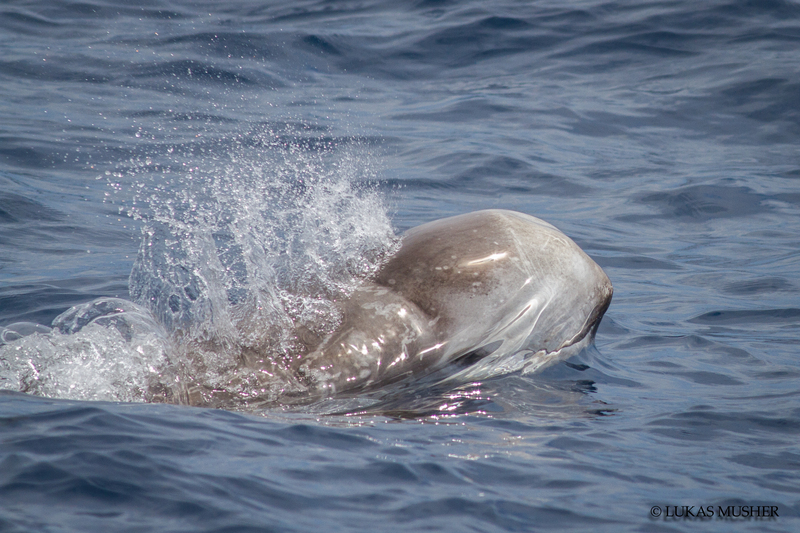 But even though the Atlantic is less productive than the pacific, these trips can still often be quite good. The two trips I took with Paul Guris of See Life Paulagics, LLC out of New York in the past year were excellent, and produced many-a-bird for my state and life lists. 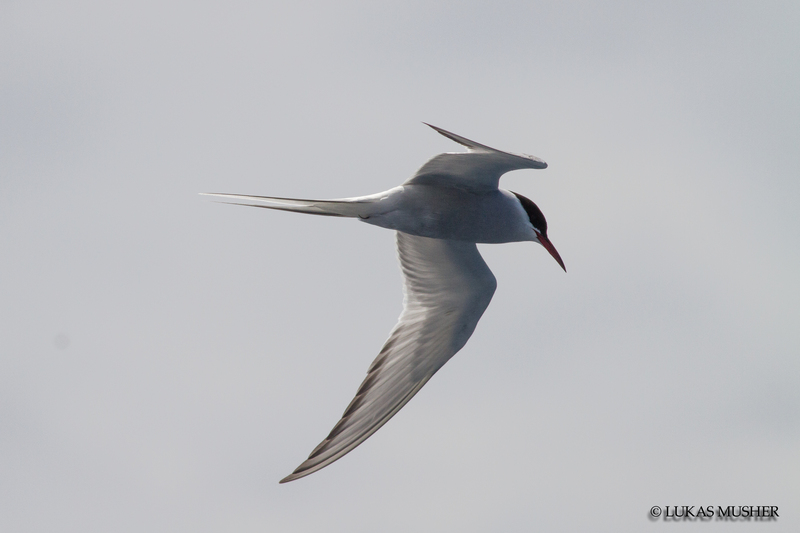 In August, we had four species of storm-petrels including White-faced, Band-rumped, and Leach’s, a Bridled Tern, as well as the first New York State record of Fea’s Petrel, and the most recent Paulagics trip that left Sunday night and returned Monday easily rivaled the seabirding on the other, less pelagically challenged coast. Sunday night looked less than promising because there were intense thunderstorms throughout the east coast, but the conditions offshore looked fine, so the trip went anyway. 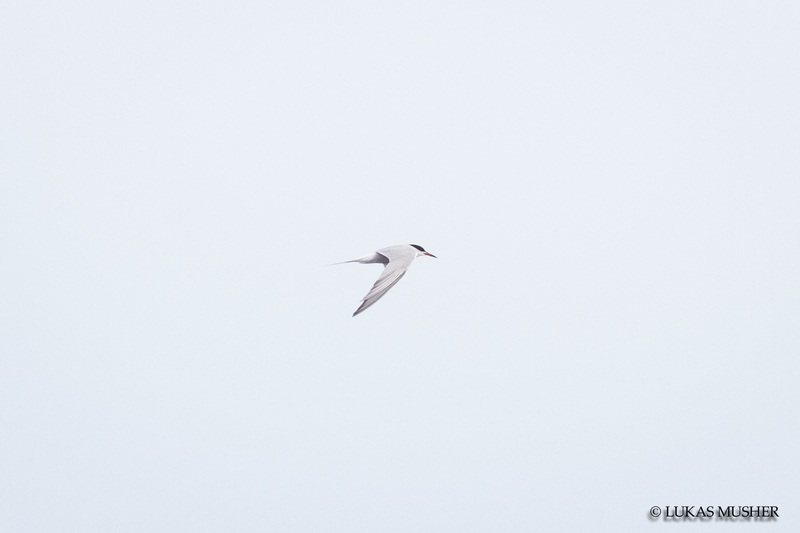 A week before Paul had led an extremely successful trip out of Cape May with highlights being the fifth New Jersey record of Black-capped Petrel, two South Polar Skuas, five Arctic Terns, one Red Phalarope, four species of shearwater, and other great pelagic animals. So we New Yorkers were looking forward to seeing what we would be able to find in our waters. We headed out in the rain around 8:30 pm, and got out to warm Gulf Stream waters offshore by about 3:30am. The water temperature was over 70 degrees when we started to chum around 4:30 as we were in a hot Gulf Stream eddy near Hudson Canyon. 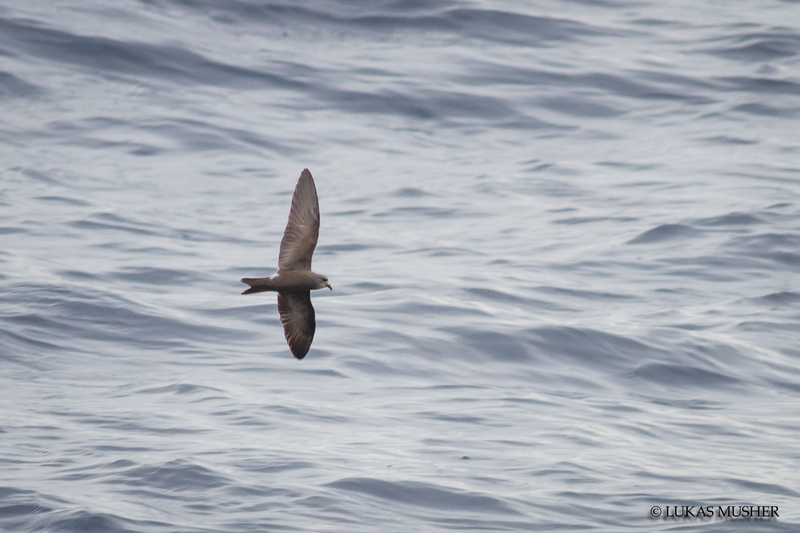 At first light we could see a few storm-petrels in the floodlights flying around the boat. First we had a couple Leach’s and then as it got lighter we began to see the much more common Wilson’s as well. 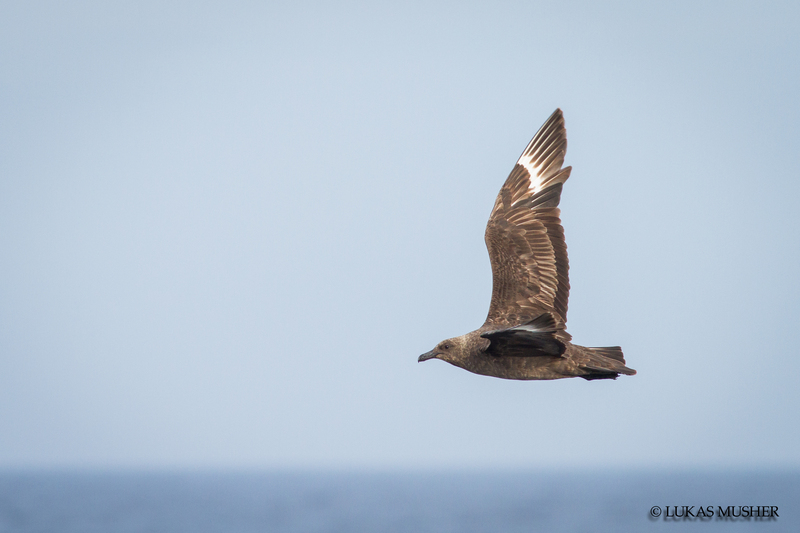 Just after 5am, someone called out a large shearwater approaching the starboard side, and we all watched a large bird coming into the boat and quickly realized it was a South Polar Skua, which was a state bird for most of the boat, and lifer for me. 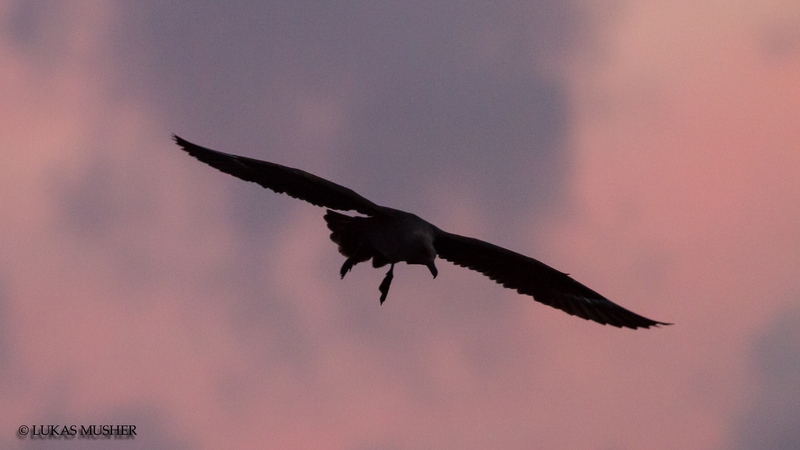 The bird flew right up to the boat and put on a great show. 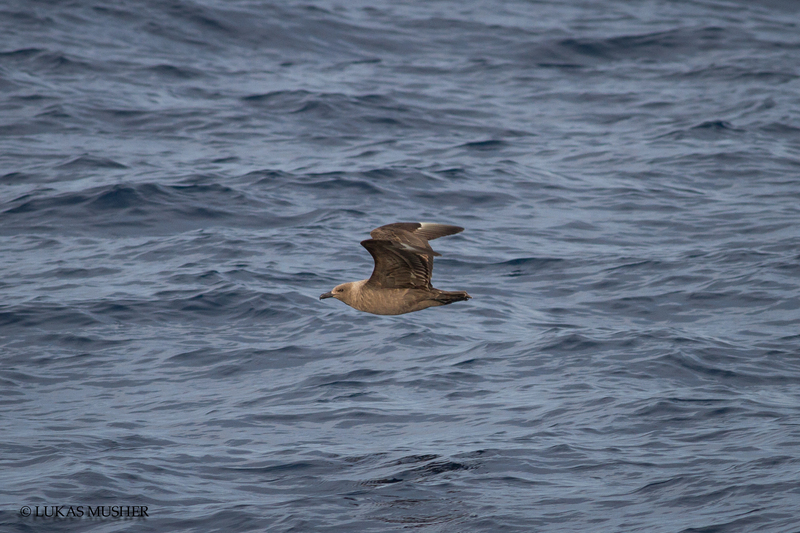 A Great Shearwater came in soon thereafter. As the sun came up and we continued to chum and drift, a few Great and Cory’s Shearwaters began to come in, and then at about 7am two more South Polar Skuas showed up. 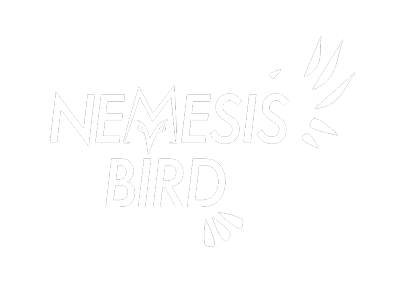 The two birds flew up to the boat and landed back in the fish oil slick we had been creating while chumming. 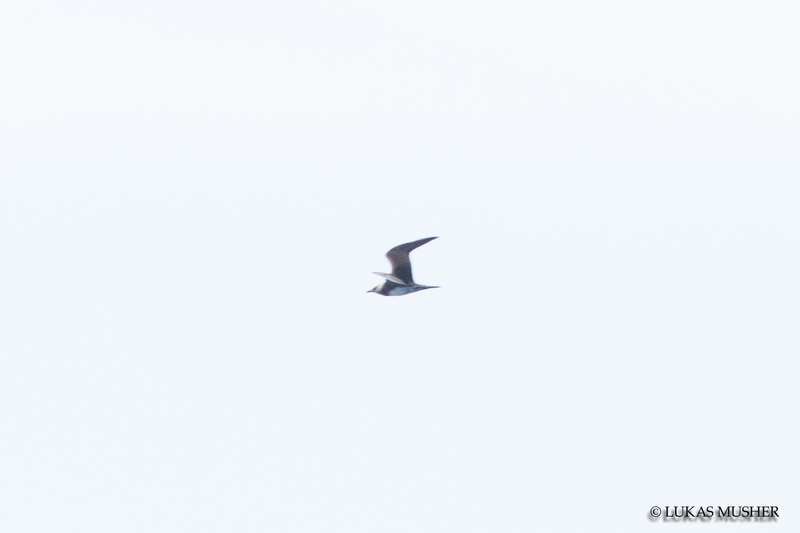 We approached the birds and soon found a third skua with them, which was a new individual since it had very limited white in the primaries suggesting it was an immature unlike the earlier bird. So by 7:30am we had already had 4 different South Polar Skuas. This is a species that breeds in Antarctica and on Antarctic islands and migrates to the northern hemisphere during our (northern) spring and summer. Skuas are nasty predators. In the southern hemisphere they breed around penguin colonies and regularly hunt penguin chicks among other things. On their wintering grounds in the north they are known for harassing other seabirds until they give up their catches and/or crop contents, a behavior known as kleptoparasitism. They are very difficult to come by in the mid-Atlantic, so seeing only one of these amazing birds would have been a treat, but seeing four just a couple hours into the morning was really something to brag about. As the day continued more birds came into our slick. 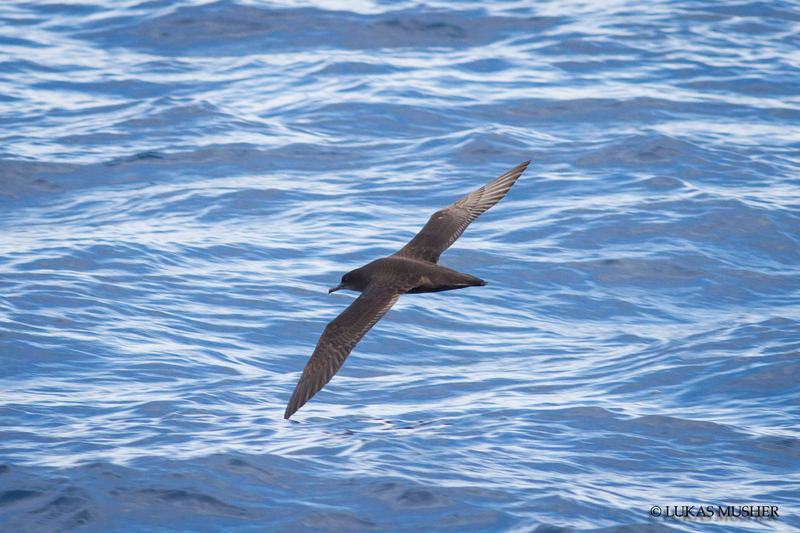 We had lots of Cory’s Shearwaters, several Great Shearwaters, a few Sooty Shearwaters, and two to three Audubon’s Shearwaters out in the warm waters offshore. Lots of storm-petrels were feeding in the slick we put out, mostly Wilson’s but a few Leach’s were still being seen sporadically through the morning as well. 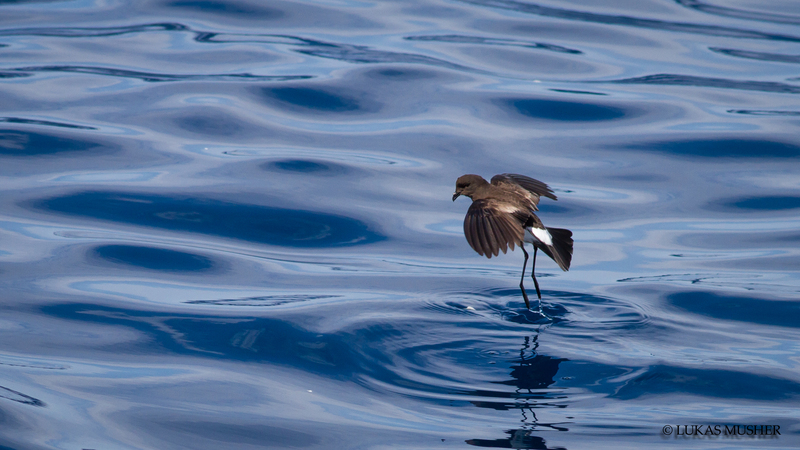 Wilson’s Storm-Petrels can actually take the oil right from the surface of the water. You can see this one feeding on the oily sheen. Later in the morning we continued to see new and interesting birds. 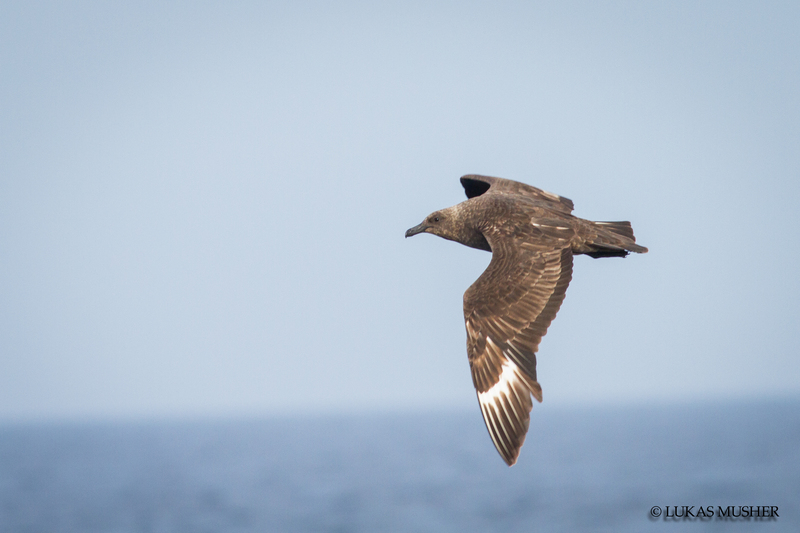 At about 8am or so, Doug Gochfield called out a Pomarine Jaeger flying by way out from us. An hour or so after that another Jaeger was spotted, which turned out to be an immature Long-tailed, the rarest of the three species. 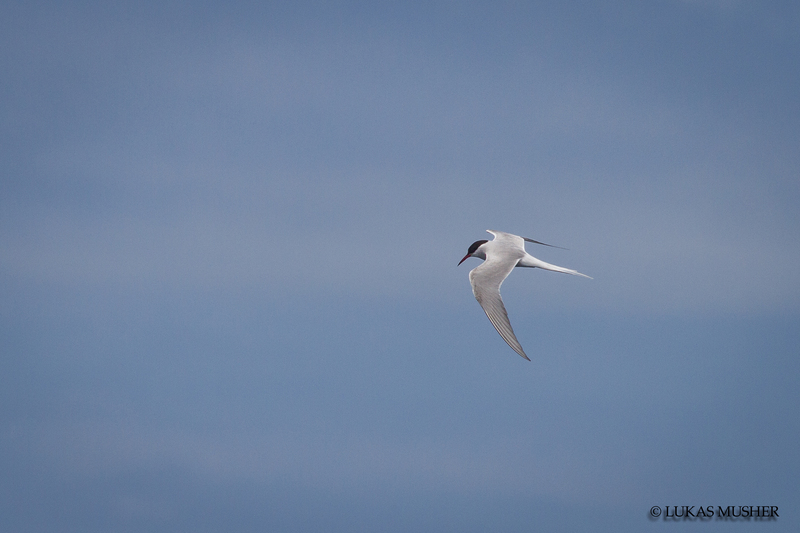 Two species of terns, more shearwaters (including our fifth species of the day, Manx), another (!) 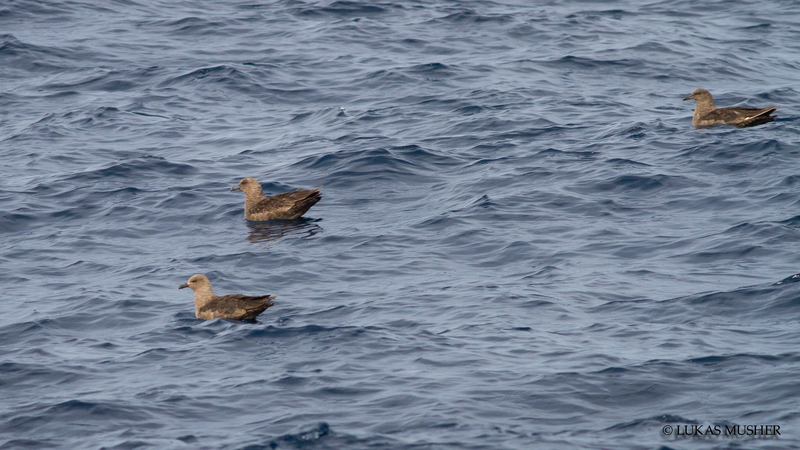 South Polar Skua, and another(!) 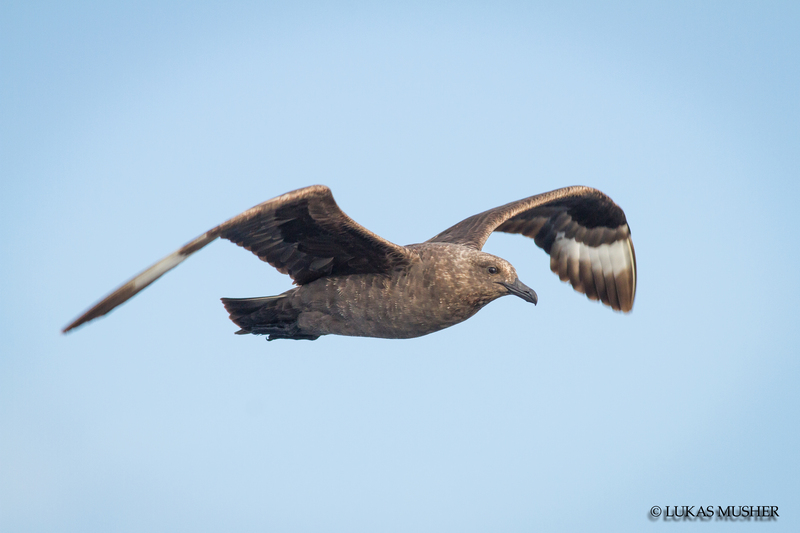 skua sp. (almost certainly South Polar, but not confirmed) were other highlights. This brought us to 6 skuas, 5 of which were confirmed to be South Polar. 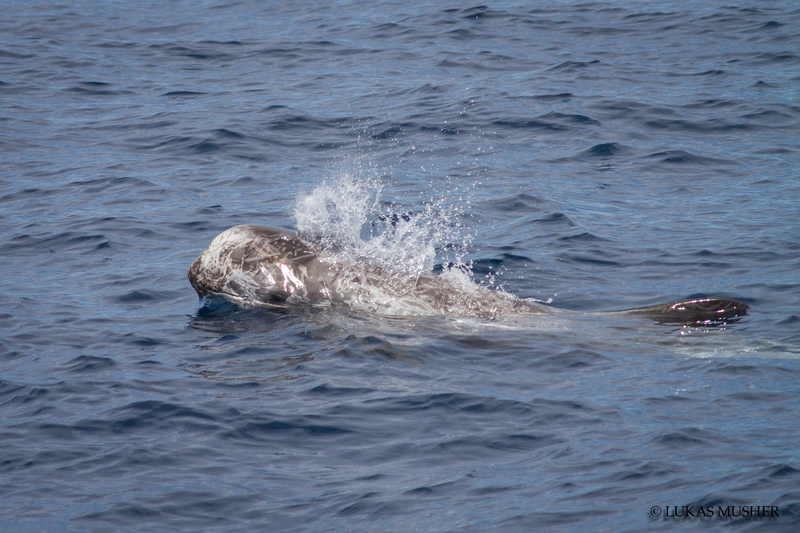 We had lots of other animals on the trip as well, including Risso’s and offshore bottlenose dolphins, Mola Mola (ocean sunfish), Portuguese man o’ war, blue shark, and a breaching 25+ foot basking shark. As we headed back in for the day and moved toward shore, the weather deteriorated. The winds and swells picked up, and we approached rain and fog. 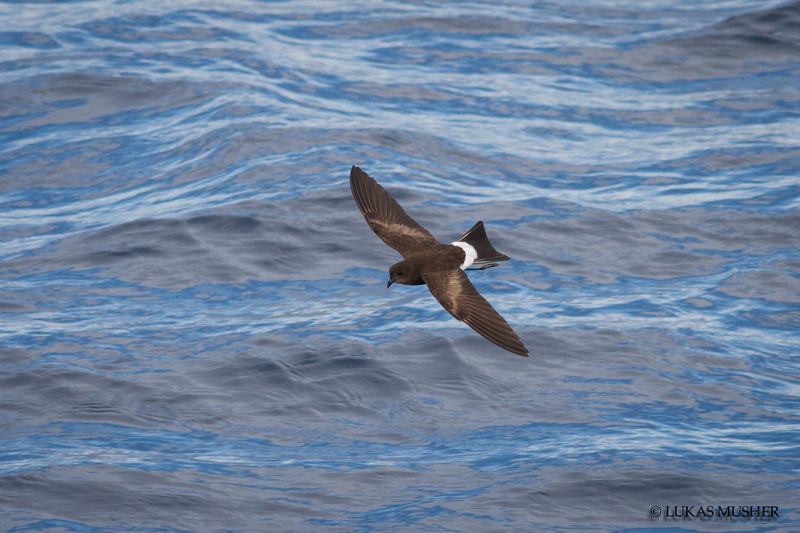 But as we moved into the colder inshore waters, we came across hundreds of shearwaters. Groups of dozens or more were scattered around feeding above fish (likely tuna) feeding frenzies banking high on strong winds like Pterodromas. The numbers of birds, mostly made up of Cory’s Shearwater, but also good numbers of Sooty and Great, easily rivaled west coast pelagic trips, and with the heavy fog and chill in the air due to the cold water, it felt like a west coast trip too. After a great day out on the high seas under sunny skies we approached hundreds of Cory’s, Great, and Sooty Shearwaters, and the one or two Manx Shearwaters congregating and banking high on the strong winds in the fog.